A revelatory World War II novel about a German prisoner of war fleeing for the border and encountering a variety of Germans, good and bad and indifferent, along his way. Now available in a new English translation. The Seventh Cross is one of the most powerful, popular, and influential novels of the twentieth century, a hair raising thriller that helped to alert the world to the grim realities of Nazi Germany and that is no less exciting today than when it was first published in 1942. Seven political prisoners escape from a Nazi prison camp; in response, the camp commandant has seven trees harshly pruned to resemble seven crosses: they will serve as posts to torture each recaptured prisoner, and capture, of course, is certain. Meanwhile, the escapees split up and flee across Germany, looking for such help and shelter as they can find along the way, determined to reach the border. Anna Seghers’s novel is not only a supremely suspenseful story of flight and pursuit but also a detailed portrait of a nation in the grip and thrall of totalitarianism. Margot Bettauer Dembo’s expert new translation makes the complete text of this great political novel available in English for the first time. Anna Seghers (née Netty Reiling; 1900–1983) was born in Mainz, Germany, into an upper-middle-class Jewish family. She was a sickly and introverted child by her own account, but became an intellectually curious student, eventually earning a doctorate in art history at the University of Heidelberg in 1924; her first story, written under the name Antje Seghers, was published in the same year. In 1925 she married a Hungarian immigrant economist and began her writing career in earnest. By 1929 Seghers had joined the Communist Party, given birth to her first child, and received the Kleist Prize for her first novel, The Revolt of the Fishermen. Having settled in France in 1933, Seghers was forced to flee again after the 1940 Nazi invasion. With the aid of Varian Fry, Seghers, her husband, and two children sailed from Marseille to Mexico on a ship that included among its passengers Victor Serge, André Breton, and Claude Lévi-Strauss. After the war she moved to East Berlin, where she became an emblematic figure of East German letters, actively championing the work of younger writers from her position as president of the Writers Union and publishing at a steady pace. Among Seghers’s internationally regarded works are Transit (1944, available as an NYRB Classic), the novella Excursion of the Dead Girls (1945), The Dead Stay Young (1949), and the story collection Benito’s Blue (1973). Margot Bettauer Dembo has translated works by Judith Hermann, Robert Gernhardt, Joachim Fest, Ödön von Horváth, and Feridun Zaimoglu, among others. She was awarded the Goethe-Institut/Berlin Translator’s Prize in 1994 and the Helen and Kurt Wolff Translator’s Prize in 2003. Dembo has also worked as a translator for two feature documentary films: The Restless Conscience, which was nominated for an Academy Award, and The Burning Wall. 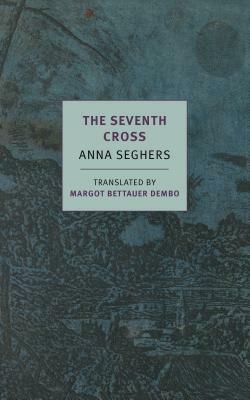 Her translations of Transit by Anna Seghers and Grand Hotel by Vicki Baum are both published by NYRB Classics. Thomas Von Steinaecker was born in Germany in 1977. A novelist and journalist, he has also written extensively for radio and is the creator of several documentaries, including Richard Strauss and His Heroines. Two of his novels, Wallner beginnt zu Fliegen (2007) and Die Verteidigung des Paradieses (2016), have been nominated for the German Book Prize.